This is a very popular extra curricular activity with students participating in track and field and cross country. Ms. McMullan and Ms. Brady coordinated the many different outings throughout the year. 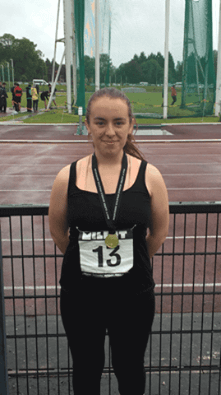 Jade Williams won the Ulster Schools Under 17 Intermediate Girls’ Hammer, with a best throw of 55.01 metres. This was also a new Ulster record, beating the previous record by 10 metres.